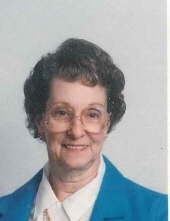 Jane R. Martin, 88, of Spencer and formerly of Rockville, passed away Thursday, August 23, 2018 at the home of her daughter. She was surrounded by her loved ones. She was born Jane Rosella Priser on January 26, 1930 in Frankton, Indiana to Auretta Caylor and Omar Priser. She was a 1948 Graduate of Anderson High School. On July 2, 1948 she married the love of her life Harry J. Martin. They recently celebrated their 70th Wedding Anniversary. Jane devoted her life to her family. She enjoyed spending time with Harry, her children, and other family members and friends. Carmack, Kim (Tom) Leas, Christy (Mike) Hicks, Derek Snyder, and Cara Snyder. Her great grandchildren Jacob Mullins, Presley Carmack, Tyler Ference, Savannah Leas, Hayden Snyder, Leila Summit, Mason Snyder, Jestin Snyder. She is also survived by her sisters- in-law, Barbara (Ray) Williams and Ramona (Eric) Bauer. She was preceded in death by her mother and dad, Auretta and Paul Caylor, her father Omar Priser, her beloved Aunt Jane Abbott. Mother-in-law Hilda Martin, Father-in-Law Harry Lee Martin and her wonderful brothers-in- law and sisters- in- law. Funeral services will be held on Monday, August 27, 2018 12:00 p.m. at Barnes and Rice Funeral Home, 111 East High Street, Rockville, Indiana. Burial will be in Martin Cemetery, Ferndale, Indiana. To send flowers or a remembrance gift to the family of Jane R Martin, please visit our Tribute Store. "Email Address" would like to share the life celebration of Jane R Martin. Click on the "link" to go to share a favorite memory or leave a condolence message for the family.